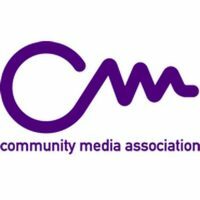 The Community Media Association is the UK representative body for the community broadcasting sector and is committed to promoting access to the media for people and communities. We enable people to establish and develop community-based communications media for empowerment, cultural expression, information and entertainment. As the UK representative body for the community broadcasting sector, the Community Media Association (CMA) is committed to promoting access to the media for people and communities. We enable people to establish and develop community-based communications media for empowerment, cultural expression, information and entertainment. The CMA represents the community media sector to Government, industry and regulatory bodies. Our objectives are to increase recognition of community radio and other forms of community media (including online radio and television, free to air community and local television and community film makers) as an important delivery agent for local aspirations on increasing volunteering, education and employment opportunities; improving local accountability and democracy; increasing community cohesion, safety and understanding and inter-cultural and inter-generational communication; reducing the digital divide through providing access to ICT and media production skills; and support and to increase the ability of the sector to respond to the needs of their communities.